Multicultural activist and social entrepreneur at Mixed Up Clothing, Inc. The world is changing and we are more diverse than ever. An important gift we can give our children is to help them feel good about who they are and help them learn to accept, respect and celebrate others. Multicultural children need to have access to diverse products that reflect their reality. 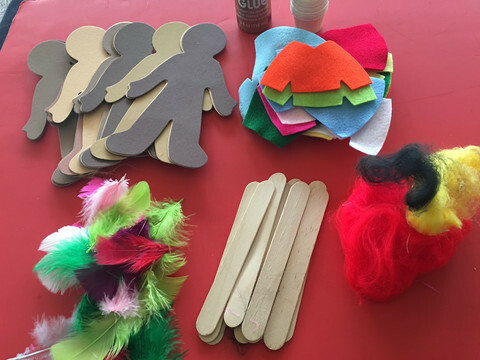 Children want to see themselves in books, media, toys, dolls and arts & crafts. Thankfully, there are brands that are stepping up and providing more products that expose children to multicultural and/or multiracial products. Lakeshore Learning, Queens of Africa dolls, Mixis Dolls, Lammily, Mattel, Mixed Up Clothing, Mixed Chicks and Curly Kids are just some of the names doing it right for the multicultural and multiracial child. The MultiCulti Corner partnered with two brands that are doing a great job: Lakeshore Learning and OranguFrame. We collaborated on a project for a group I co-founded with Delia Douglas of DDHPR called MultiCulti Corner (MCC). This project is perfect anytime but found it a great learning experience for Black History Month. To introduce and provide quality products to have children. 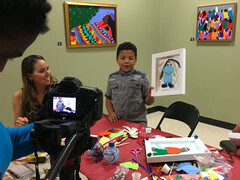 To have children express themselves through art. To expand their worldview by allowing them to see that there are others in the world with their own rich experience. To learn to respect all cultures. 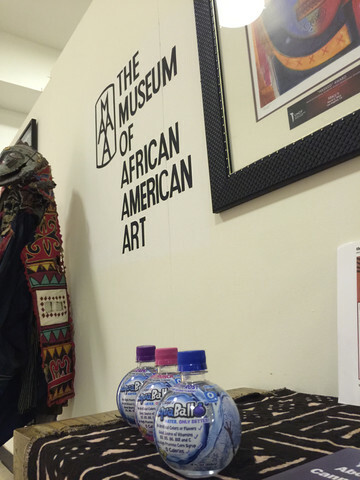 The MultiCulti Corner (MCC) tribe went on the road to The Museum of African American Art (MAAA). Celebrating their 40th anniversary, the museum is a hidden gem in Los Angeles. On this particular weekend in February, two exhibits were featured: Palmer C. Hayden Collection and his John Henry Series and Synthia Saint James. 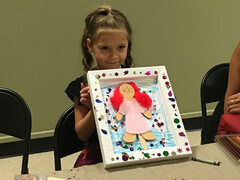 Following their exposure to the artwork, the children created their own self-portrait with a focus on finding the similarities and the differences in each other. In addition to the beautiful artwork as a backdrop to our classroom, we had multicultural figurines from Lakeshore Learning on display. 1. Have children pick their supplies. 2. Demonstrate the various skin tones offered by Lakeshore crayons and paper. 3. Allow them to share how they feel about the various skin tones offerings. 4. Direct children to let their creativity drive them. 5. Support any questions or discussion around skin tone and race. 6. Encourage positive dialogue between the children regarding the colors and textures they choose. This project was very important to the children. They learned about respect for each others differences, explored their similarities, and gained a greater appreciation for the beauty and diversity in each other. 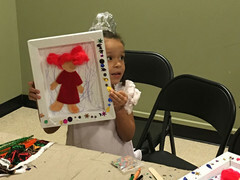 The children were excited to create self-portraits using multi-colored skin tone crayons and craft paper of their choosing. They were able to save their artwork in an OranguFrame for easy displaying. The OranguFrame fold and snap frames were a perfect end to the art project. There is a video to show how to assemble it ad a few blank sheets are included in the kit. 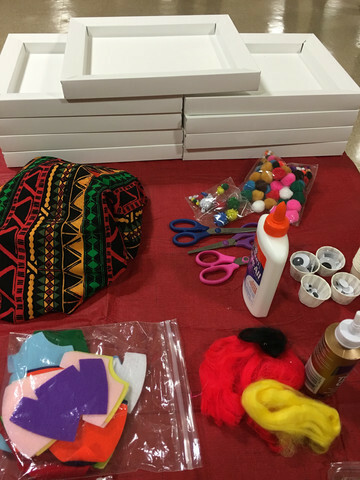 A blank slate for children to use their imagination and create their masterpiece. You can see the pride in their faces when they shared their self-portrait. You could feel that they enjoyed being able to embrace their beauty and uniqueness. Some expressed that this was the first time they were able to match a crayon with their own skin tone and how great that made them feel. 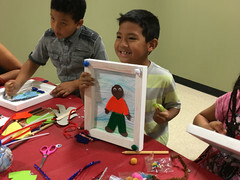 They each got to take home their project and walk away knowing they had done more than draw, they were able to make friends with other diverse children utilizing products made especially for them.